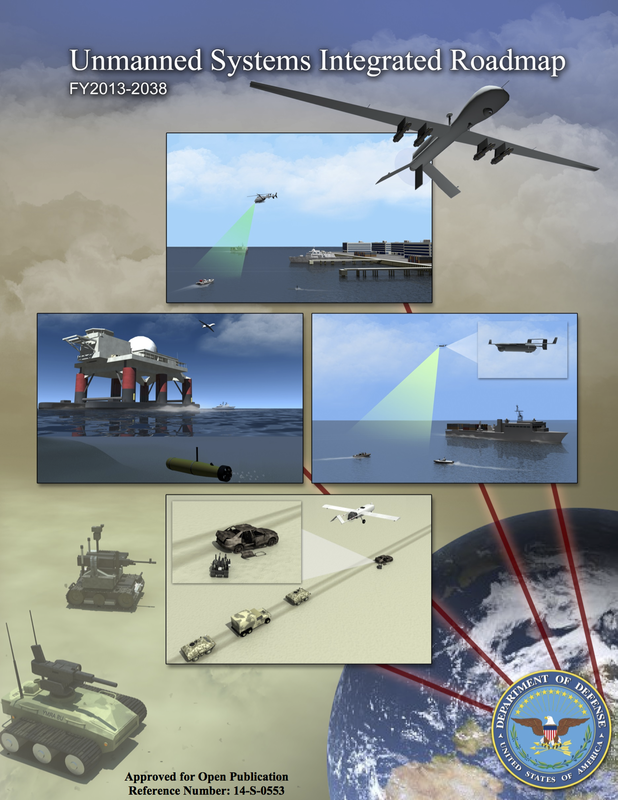 The US Air Force is also in the closing stages of its so-called Vector Report on Remotely Piloted Aircraft, which is supposed to map out the likely role of military UAVs over the next 25 years; its release has been delayed for what are described a minor last-minute changes, but just before Christmas the Pentagon released its Unmanned Systems Integrated Roadmap 2012-2038, which includes its plans for aerial, ground and maritime systems. I’m off to Beirut in early January for CASAR’s conference on Transnational American Studies, where I’ll be talking about CIA-directed drone strikes in the Federally Administered Tribal Areas. Even though Judith Butler had to cancel, it’s still an excellent program, including Paul Amar, Lisa Bhungalia, Brian Edwards, Keith Feldman, Waleed Hazbun, Craig Jones, Amy Kaplan, Laleh Khalileh, Vijay Prashad, Jeremy Scahill (and a screening of Dirty Wars), and an evening performance of Robert Myers‘s drone play, Unmanned. 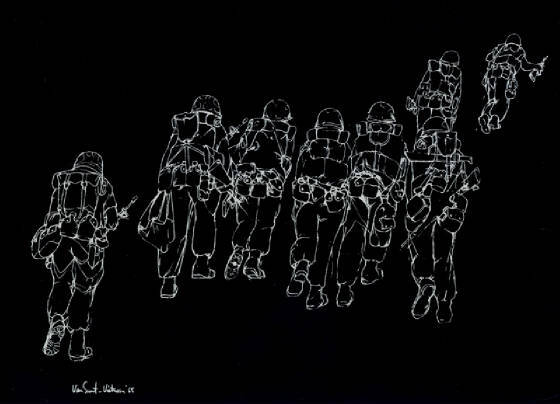 I have about a week to get my own act together, so it’s welcome news that the Tactical Technology Collective has released a series of short films, Exposing the Invisible, the most recent of which – Unseen War – focuses on the FATA. There are also transcripts of the full interviews that make up the 7 ‘chapters’ of the film: Sadaf Baig from the Centre for International Media Ethics (CIME) at the London School of Economics; Taha Siddiqui, an independent journalist in Islamabad; Safdar Dawar; Alice Ross from the Bureau of Investigative Journalism; Noortje Marres from Goldsmiths, University of London; and James Bridle (who needs no introduction for readers of this blog). Sadaf and Safdar are both very informative about FATA, and James provides an excellent introduction to his stream of work on drones. The US military defines Close Air Support (CAS) as ‘air action by fixed-wing and rotary-wing aircraft against hostile targets that are in close proximity to friendly forces, and [it] requires detailed integration of each air mission with the fire and movement of those forces.’ It’s a difficult and dangerous business, and not only for the intended targets. The technologies of CAS have been transformed but, according to the the Defense Advanced Research Projects Agency, its fundamentals haven’t changed since the First World War. The program seeks to leverage advances in computing and communications technologies to fundamentally increase CAS effectiveness, as well as improve the speed and survivability of ground forces engaged with enemy forces. The first is PCAS-Air, which … involves the use of internal guidance systems, weapons and engagement management systems, and communications using either the Ethernet or aircraft networks for high-speed data transmission and reception. PCAS-Air processes the data received, and provides aircrews via aircraft displays or tablets with the best travel routes to the target, which weapons to use, and how best to use them. The other half is PCAS-Ground, intended for improved mobility, situational awareness and communications for fire coordination. 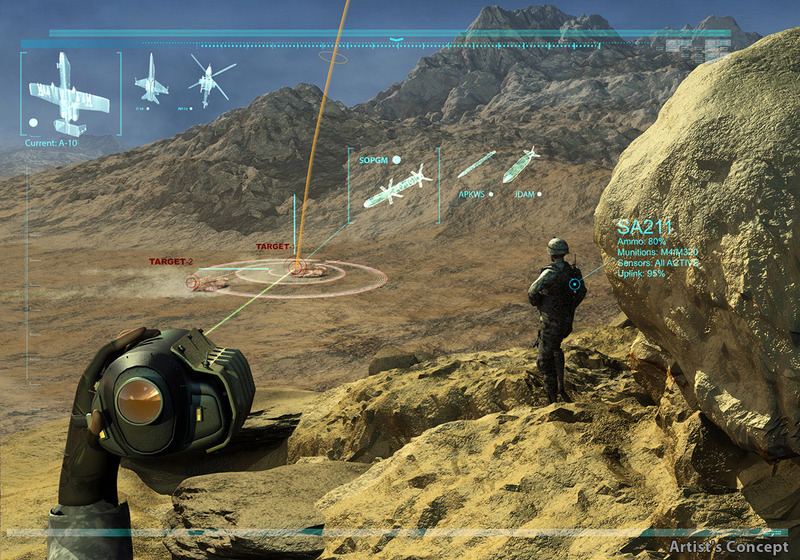 Soldiers on the ground can use an HUD eyepiece wired to a tablet that displays tactical imagery, maps, digital terrain elevation data, and other information [the image above is an artist’s impression of the Heads-Up Display]. This means they can receive tactical data from PCAS without having to keep looking at a computer screen. PCAS-Ground has been deployed in Afghanistan since December 2012. The original plan, as the emphasis on ‘persistent’ implies, was to integrate the system with drones, but after the cancellation of the US Air Force’s MQ-X (‘Avenger’) program Raytheon announced that PCAS would be developed using a conventional A-10 Thunderbolt. There is of course a long history to the digitisation and automation of the battlespace, and that reference to the First World War was not an anachronism. 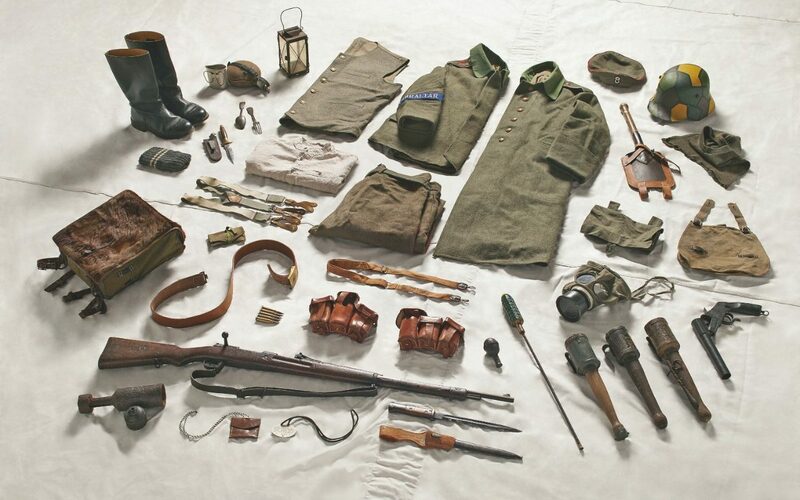 There were such intimate links between mapping, aerial photography and artillery ranging on the Western Front – whose cascade of updated imagery and intelligence underwrote the seeming stasis of trench warfare – that Peter Chasseaud described the result as ‘a sophisticated three-dimensional fire-control data base’ through which ‘in effect, the battlefield had been digitised.’ It was also, in a sense, automated; I discuss this in detail in ‘Gabriel’s Map’, but it’s captured perfectly in Tom McCarthy‘s novel C.
Another was the development of the PowerScene digital terrain simulation that was used to identify target imagery transmitted by proto-Predators over Bosnia-Hercegovina and to rehearse NATO bombing missions. Remarkably, it was also used at Wright-Patterson Air Force Base during the negotiations that led to the Dayton peace accords. As one US officer explained: ‘It’s an instrument of war but we’ll use it for peace because you are willing to come to the table’. The system was used to explore proposals for potential boundaries, but the sub-text was clear: if agreement could not be reached, NATO had a detailed military knowledge of terrain and targets. (For more, see James Hasik‘s Arms and innovation: entrepreneurship and alliances in the twenty-first century defense industry (2008) Ch. 6: ‘Mountains Miles Apart’; Richard Johnson‘s ‘Virtual Diplomacy’ report here; and a precocious paper by Mark Corson and Julian Minghi here, from which I’ve taken the image on the left). 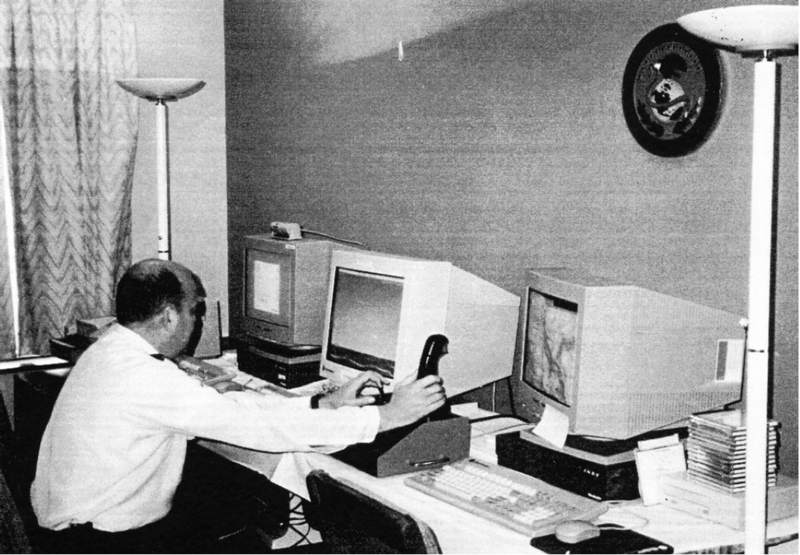 PowerScene was later used by USAF pilots rehearsing simulated bombing missions against Baghdad in the 1990s (see right) – the system fixed target co-ordinates and red ‘bubbles’ displayed threats calibrated on the range of surface-to-air missile systems – and when Anteon Corporation and Lockheed Martin introduced TopScene air strikes over Afghanistan in 2001 were also rehearsed over digital terrain. But there is another side to all this, because digital platforms can also be used to enable others to display and interrogate the geography of air strikes. I’ve discussed this before in relation to the CIA-directed program of targeted killing in Pakistan here and here, but impressive progress has also been made in plotting air strikes across the border in Afghanistan. The most remarkable use of USAF/ISAF data that I know is Jason Lyall‘s work in progress on what he calls ‘Dynamic coercion in civil wars’ – ‘Are airstrikes an effective tool of coercion against insurgent organizations?’ – which focuses on air strikes in Afghanistan between 2006 and 2011. This is part of a book project, Death from above: the effects of airpower in small wars; the most recent version of the relevant analysis is here. The map below is Jason’s summary of air strikes in Afghanistan 2006-11, but as I’ll explain in a moment, it gives little idea of the critical digital power that lies behind it. We draw on multiple sources to construct a dataset of nearly 23,000 airstrikes and shows of force in Afghanistan during 2006-11. The bulk of the dataset stems from newly-declassified data from the Air Forces Central’s (AFCENT) Combined Air Operations Center (CAOC) in Southwest Asia, which recorded the location, date, platform, and type/number of bombs dropped for January 2008 to December 2011 in Afghanistan. These data required extensive cleaning to ensure that a consistent standard for each type of air operation was maintained and duplicates dropped. These data were supplemented by declassified data from the International Security Assistance Force’s (ISAF) Combined Information Data Exchange Network (CIDNE) for the January 2006 to December 2011 time period. Finally, additional records from press releases by the Air Force’s Public Affairs Office (the “Daily Airpower Summary,” or DAPS) were also incorporated. … Each air operations’ intended target was confirmed using at least two independent coders drawing on publicly available satellite imagery. Merging of these records was extremely labor intensive, not least because of the near total absence of overlap between CAOC, CIDNE, and DAPS records. Only 448 events were found in all three datasets, underscoring the problems inherent in single-sourcing data, even official data, in conflict settings (my emphasis). Second, to get the full visual effect of Jason’s analysis you absolutely need to see the animation that he’s made available on his website here; the image below is just a screenshot for September 2009 (I’ll explain why I chose that month in my next post). The numbers show that 2,537 Afghans civilians were killed and 5,594 were wounded in the past two years. 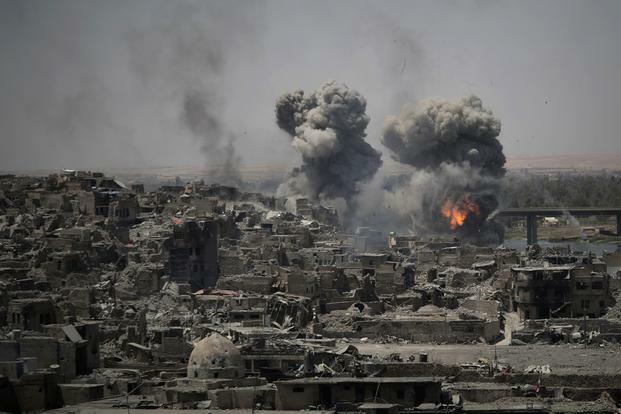 Most of the deaths – 80 percent – are attributed to insurgents, with 12 percent caused by coalition forces, a 26 percent drop. UNAMA welcomes the reduction in civilian casualties from aerial operations but reiterates its concern regarding several operations that caused disproportionate loss of civilian life and injury. UNAMA also raises concerns with the lack of transparency and accountability about several aerial operations carried out by international military forces that resulted in civilian casualties. You can find the full analysis by John Bohannon, which includes a discussion of both databases, at Science (open access) here. 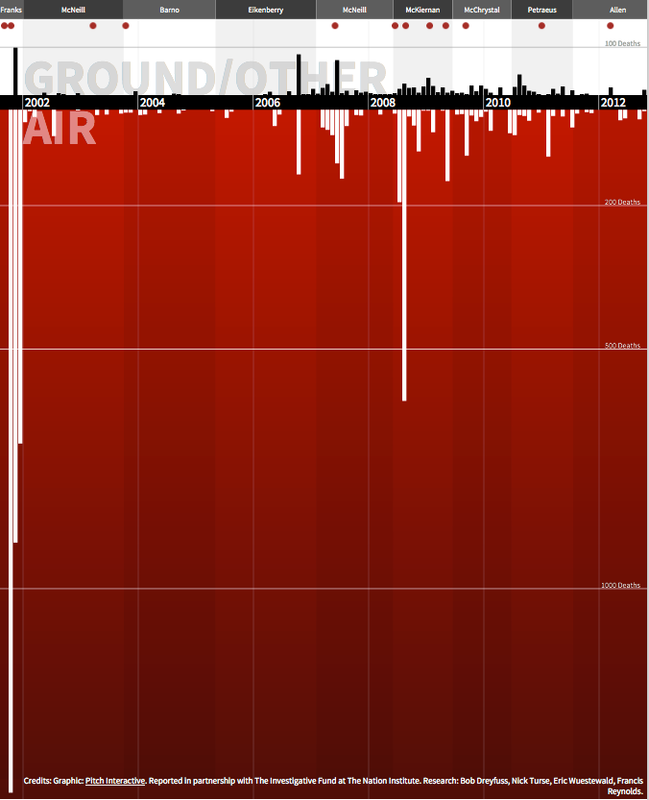 You will see running along the top the military commanders during each period; the red dots mark major events. It’s common knowledge – or should be – that the US-led invasion of Afghanistan in 2001 was spearheaded by an intensive high-level bombing campaign (I described this in The Colonial Present), shown along that desperately deep left margin. But I suspect fewer people have grasped the reliance that ISAF has continued to place on air power. 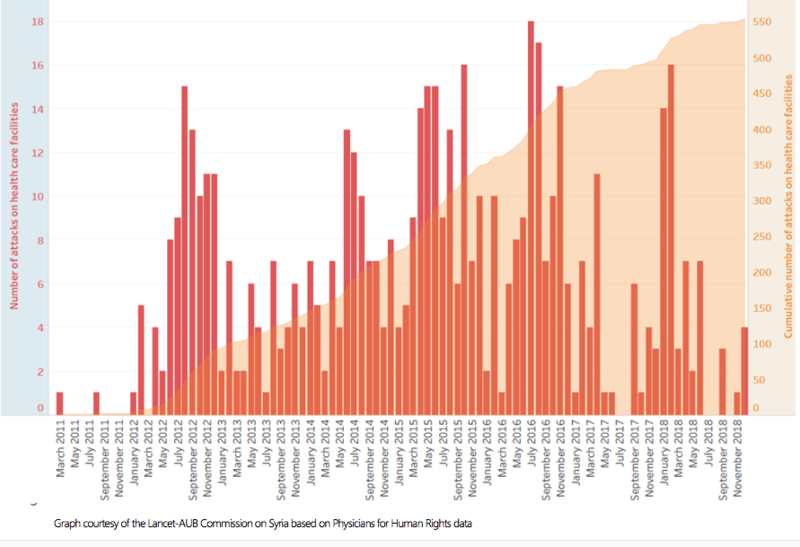 What stands out from the image above, clearly, is the disproportionate (sic) number of deaths attributed to air strikes (5, 622) compared with ground operations (794) throughout the period: the UNAMA data above suggest that this only started to change in 2013. You can read more about this in the essay by Bob Dreyfuss and Nick Turse that accompanied the interactive, ‘America’s Afghan victims’, here, and – as always – the tireless work of Marc Herold is indispensable. And to forestall a stream of comments, my title is not intended to suggest that digital technologies or the airstrikes they facilitate are somehow ‘immaterial’; nothing could be further from the truth. Or the killing fields. You can download a hi-res and zoomable version here, and you can find out more about START here. And since START is a ‘Center of Excellence of the US Department of Homeland Security’ then, no, the map doesn’t include US drone strikes or attacks on civilians carried out by US allies. Bombing was surprisingly inefficient. As Overy shows, poor visibility, the sudden deterioration of weather conditions, malfunctioning equipment, outdated and slow-moving aircraft, pilot inexperience or crew exhaustion, and enemy action varying from anti-aircraft batteries to night-fighters or the jamming of navigation beams, all reduced the effectiveness of bomber fleets. Aircraft crashed, ran out of fuel or suffered engine failure with astonishing frequency. In its raids on Britain from January to June 1941, for example, 216 German bombers were lost and 190 damaged; 282 of these were as a result of flying accidents. 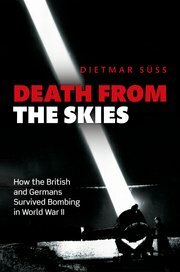 The death rate among bomber crews was appallingly high (crew members in Bomber Command had a one-in-four chance of surviving their first tour of duty, and a one-in-10 chance of surviving their second) but not all of it was as a result of enemy action. At the end of 1941 Bomber Command reckoned that it was losing six aircraft to accidents for every one shot down by the enemy. The British and especially the Americans could make good these losses, and more besides; in the end, Germany’s smaller resources meant that the German air force was increasingly outproduced. Above all, bombing was staggeringly inaccurate. Bomber fleets had to fly high to avoid anti-aircraft fire from the ground, so even if the weather was clear, they were often unable to locate their targets effectively. On one mission, Robert Kee, a bomber pilot who later became a successful historian, “bombed some incendiaries at what we hoped was Hanover” but mostly dropped his bombs on searchlight concentrations because that was all he could see through the cloud. One report, compiled in September 1941, reported that only 15% of aircraft were bombing within five miles of their target. In the last three months of 1944, it was reckoned that only 5.6% of bombs fell within a mile of the aiming point if there was cloud, despite the use of electronic navigation aids. One raid on a major oil plant saw 87% of the bombs missing their target entirely, and only two actually hitting the buildings. 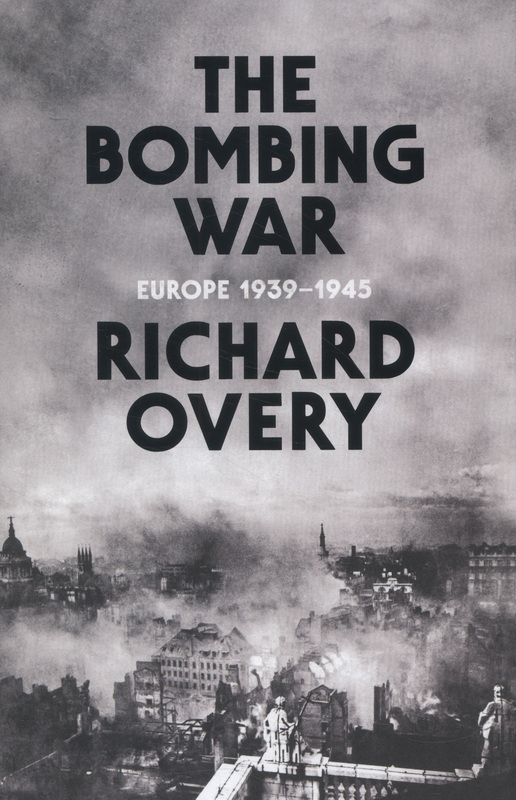 There’s also a thoughtful review of The Bombing War by Keith Lowe here; Lowe’s account of the bombing of Hamburg, Inferno: the devastation of Hamburg, 1943, is another tour de force, which describes both the execution of the air raids and the consequences for those on the ground. Claire Tomalin‘s review of Inferno closed with a sentence that has haunted me ever since I read it: ‘Once you are committed to fighting, you are going to kill the innocent with whatever technology you have developed.’ Overy does discuss those consequences too, but I think it’s fair to say that the tone of his discussion is largely (though not exclusively) policy-directed – a matter of response rather than experience. ‘At the centre of this comparative study are not the political systems (even though Süß has a great deal to say about their institutional structures) but the emergence of a Kriegsmoral (war morale) at the intersection of individual experiences and political mobilization. Moreover, this hefty tome is not meant to be a comprehensive ac-count of the British and German bombing campaigns of the Second World War. 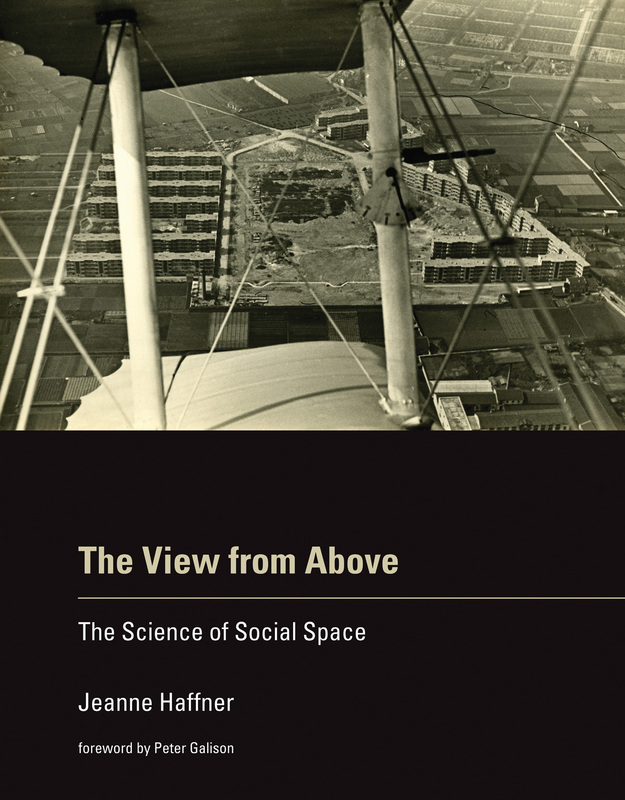 Rather, the author’s approach might be described as a history of the air war ‘from below’: one that is focused on the fear, experience, and memory (of people on the ground) of death and destruction…. Both books are, appropriately, blockbusters: Overy comes in at 880 pp and Süss at 736 pp. 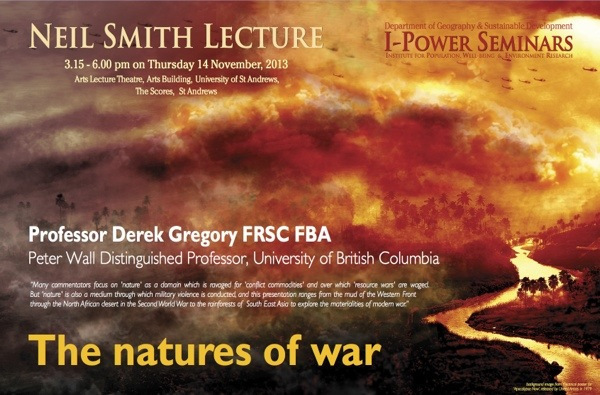 St Andrews has just posted the video of my Neil Smith Lecture on “The Natures of War” online here, and I’ve also embedded it below. We lowered the lights so that the slides would pop, so it may seem a little dim (or perhaps I do) at the start, but each of the slides has been spliced in separately and they are crystal clear. I started out by talking about Neil’s work and, as you’ll see, lost it; it’s never happened to me before, but then I’ve never given a lecture named after a close friend before. I’d intended to return to Neil and the ‘production of nature’ at the end, but decided to leave that for the long-form version so I could at least carry on through the Q&A. 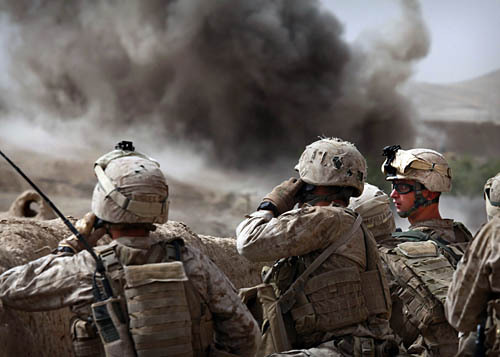 The focus is on ‘nature’ not as an arena on which military violence is staged, the trigger for resource wars and conflict commodities, but as a medium through which military violence takes place. I develop the argument through three case studies: the Western Front of World War I, the Western Desert of World War II, and the rainforest of Vietnam. My warmest thanks to everyone at St Andrews, and especially to Joe Doherty, who opened the event with a moving account of Neil’s career and contributions (as you can see above, this is included in the video), and to my good friend Dan Clayton for putting everything (including me) together so well. Various other versions are available around the web, but now – inspired in part by Trevor Paglen‘s Blank Spots on the Map – a new project by Josh Begley (of Dronestream fame) has worked from the 2013 Base Structure Report to produce a new base map supplemented by aerial/satellite imagery of more than 640 US military bases around the world. It’s still a minimalist accounting, but the lacunae are produced not only by the secret installations that are systematically excluded from the Pentagon’s public accounting of what it calls its ‘real property’ – if only there could be a listing of its surreal property too (which is where Trevor comes in) – but also by the database’s predisposition towards permanence (of sorts). You’ll see what I mean if you zoom in on Afghanistan: the main Forward Operating Bases are there but none of the firebases and combat outposts scattered across the landscape. Still, even in this appropriately skeletal form, it’s a vivid reminder of the boots firmly planted on other people’s ground. Taken as a whole, I’d like to think this collection can begin to approximate the archipelago of militarized space often understood as empire. But I’m hesitant to say that. It seems to me that empire involves more than pushpins on a map. It is made up of human activity — a network of situated practices that preclude constellational thinking and sculpt geographies in their own image. I’m not sure aerial photography can get at that complexity. But perhaps an outline of this footprint– of runways and bases and banal-looking buildings — might begin to chip away at the bumper-sticker simplicity much political discourse about the military-industrial complex gets reduced to. Two quick comments. First, if you want more on what aerial photography can get at – and in particular its historical formation as an indispensable vector of modern war – try Terrence Finnegan‘s Shooting the Front: Allied aerial reconnaissance in the First World War (2011), which has already established itself as a classic, or if you prefer a more theoretically informed survey, Jeanne Heffner‘s The view from above: the science of social space (2013), especially Chapter 3, ‘The opportunity of war’. War doesn’t loom as large as you’d think in Denis Cosgrove and William Fox‘s Photography and flight (2010), but you’ll also find interesting ideas in Paul Virilio‘s perceptive War and cinema. On satellite imagery, the most relevant essay for the background to this project is probably Chris Perkins and Martin Dodge, ‘Satellite imagery and the spectacle of secret spaces‘, Geoforum 40 (4) (2009) 546-60. The different platforms that Josh discusses (Google Earth and Bing) derive much of their imagery from DigitalGlobe: for an update on its new super-high res WorldView-3 (and its restriction to the US military and security apparatus), see Neal Ungerleider, ‘Google Earth, foreign wars and the future of satellite imagery’ here. Among her many important essays, Lisa Parks‘ ‘Zeroing in: overhead imagery, infrastructure ruins and datalands in Iraq and Afghanistan’ is an indispensable kick-start for thinking about satellite imagery and military violence, and you can find it in Jeremy Packer and Stephen Crofts Wiley (ed) Communication matters (2013) and in Nicholas Mirzoeff‘s Visual culture reader (3rd edition, 2013). 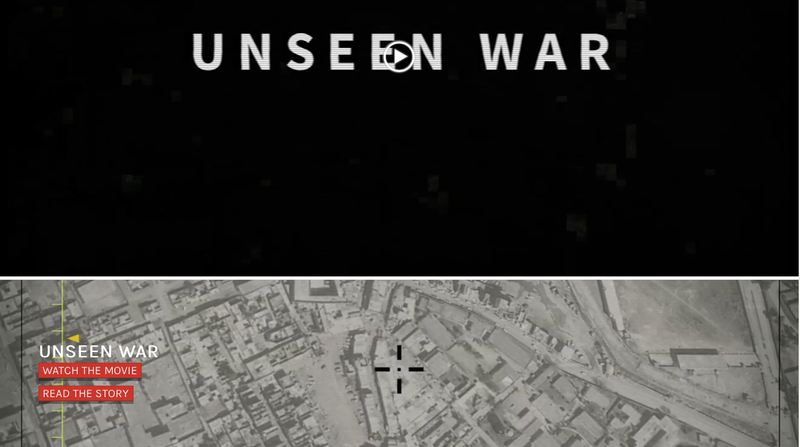 One of my favourite essays – and the one that got me started on the intimate connections between political technologies of vision and military violence an age ago – is Chad Harris‘s ‘The omniscient eye: satellite imagery, “battlespace awareness” and the structures of the imperial gaze’, open access at Surveillance and society 4 (1/2) (2006) here. Second, it is indeed important to think through all the ways in which the US military/security presence reaches beyond these pinpricks on the map. These are bases for more extensive military operations, obviously, but there is also the roving US presence in outer space, air and ocean – and cyberspace – that is necessarily absent from these static arrays. In addition – and there must be many other add-ons – the US is hardening its borders in a transnational space, confirming the argument made explicit in the 9/11 Commission report: ‘the American homeland is the planet’. Deb Cowen‘s seminal essay on ‘A geography of logistics’ is indispensable here, and Todd Miller provides a recent vignette on what he calls Border Patrol International here. Oh – one more thing. Josh’s new project has been widely advertised – from Gizmodo through the Huffington Post to the Daily Mail (really) – but if you want to see whether you’re in step with other posters and the trolls, look at the comments sections. Sobering. Gizmodo is particularly revealing/depressing.